What are Skin Booster peels? Skin Booster Peels are made up of acids that occur naturally in a number of fruits (from where they get their “eco-friendly” name of fruit acids) and dairy products. Glycolic acid, lactic acid salicylic acid, malic acid and citric acid are all examples of AHA’s. Glycolic acid was originally extracted from sugar cane, but the acid used in treatment today is synthesized chemically. AHA’s affect the cohesiveness of epidermal cells causing detachment of keratinocytes. They can be used daily on the skin in concentrations of 2% to 15% or as a peeling agent in concentrations of 20% to 70%. All skin types are suitable for Skin Booster Peels, however higher percentages may not be suitable for darker skin types. 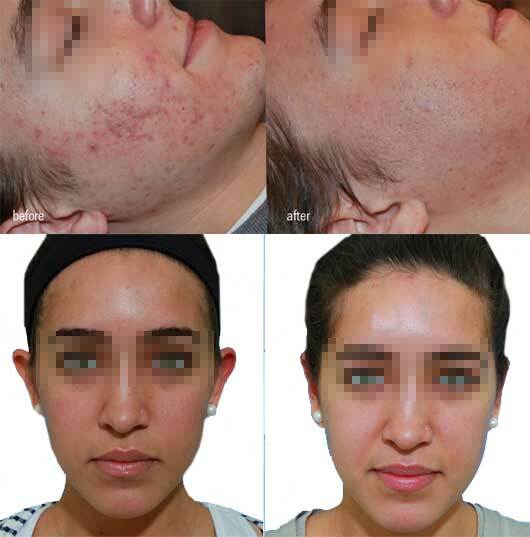 Skin Booster Peels will provide an improvement in pigmentation and skin texture. It is not a substitute for deeper peeling or laser resurfacing. Complications are rare, especially with lower percentage glycolic peels- but certainly still possible. Infection, pain, poor results, delayed or prolonged healing; post-inflammatory hyper- or hypo-pigmentation are all possibilities. Your doctor will go through a consent form with you before the procedure and answer any questions that you might have. An immediate return to work is possible. Day 1 to 3 mild erythema. Day 2 to 7 mild exfoliation. Duration and severity of downtime is dependant on strength of peel and individual factors. However treatment can continue providing the skin is not showing sign of irritation beyond the healing stage. Skincare products such as REFORM Everyday Moisturiser and REFORM Vitamin B5 are recommended for the first few days. Specific post peel skin care range is available to maintain result. Speak to your doctor at The Adare Clinic who will be happy to advise. Skin Booster peels are €100 each. Contact us for further details on cost.